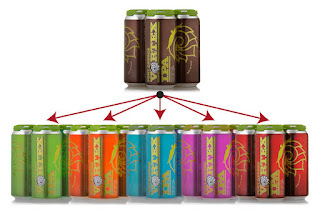 Fort George Brewing is expanding its popular Vortex Lineup in cans slated for summer 2016 release. There's going to be more color on store shelves. I'm stepping out of bounds here, posting input without commentary. These guys are okay. Trust me. [Astoria, Oregon] Five fantastic new twists on Vortex IPA, the popular flagship from Fort George Brewery, launch this summer. After almost seven years of R & D, the owners are finally giving the thumbs up. Way up. “If I could do twenty Vortexes I would,” said co-owner Chris Nemlowill. 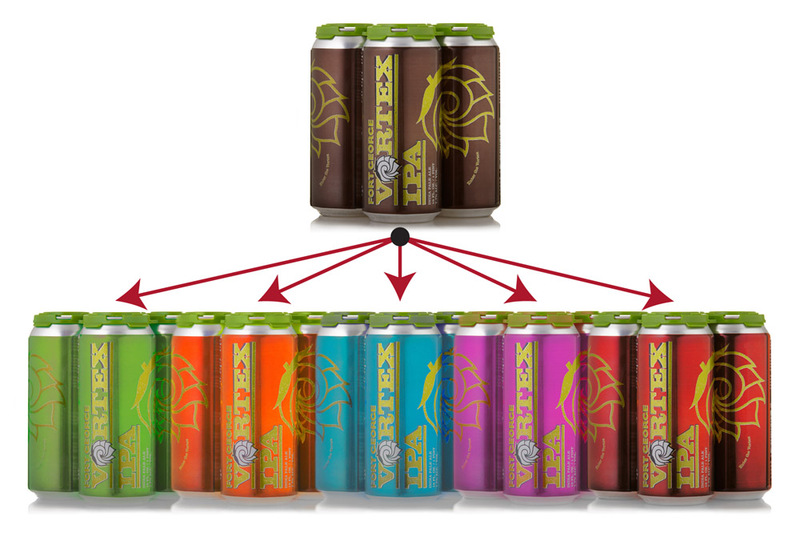 “But we settled on these variations so we wouldn’t break the brewery.” Although no more Vortex styles are planned until February 2017, a seasonal variety 24-pack will be on store shelves this winter. In case you're wondering, which you probably aren't, Fort George is distributed exclusively in the Pacific Northwest. For locations near you, check the Fort George beer finder here. Y'know this was their April Fool's release, yeah? Wink. Maybe should have made that more obvious, though the beer descriptions kind of give it away.